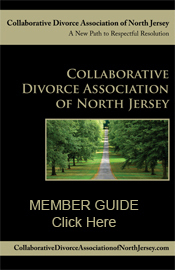 Joseph C Noto is a Divorce Lawyer, Divorce mediation Attorney and a trained collaborative law attorney, serving clients in Bergen, Passaic and Essex counties in northern New Jersey. I am a member of the International Academy of Collaborative Professionals (IACP), co-founder and president of the New Jersey Collaborative Law Group, and Trustee of the North Jersey Collaborative Law Group. Through the Institute for Dispute Resolution of New Jersey, I’ve received certificates of advanced training in the practice of divorce mediation. 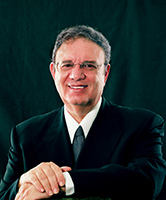 I am also a family law attorney with over 20 years of experience. I believe collaborative divorce and mediation are preferred alternatives for many divorcing couples. When circumstances preclude these options, my expertise as a divorce attorney with a deep knowledge of family law serves my clients well. As a Divorce Attorney, I have the essential background in all of the legal, financial, and emotional issues relating to divorce, and can apply it with equal skill to collaborative divorce or mediation. I can also recommend other qualified, caring, committed professionals to my clients when the needs arise. My professional network includes therapists, accountants/financial advisors, real estate agents, and real estate appraisers. In addition to my collaborative law, divorce mediation, and family law practices, I am an experienced real estate attorney, working with clients on their residential and commercial real estate transactions, as well as variances and zoning applications.